Air Conditioning Unit Repair & Installation in Sebring, FL | Ridge Air Conditioning Inc.
Ridge Air Conditioning, Inc is a family owned and operated air conditioning and heating system company located in Avon Park, Florida (FL) since its incorporation in 1960. Ridge Air Conditioning, Inc is currently owned by David L. Scott, President. David brings the expertise of the technology of air conditioning and heat pump systems, both residential and commercial. 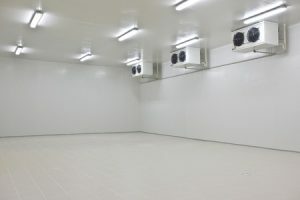 David is also experienced with commercial freezers, coolers and ice machines. His expertise is also found on the installation side of the business. Installing air conditioning and heat pump systems and designing, building and installing duct work is what David does best. Ridge Air Conditioning, Inc. has a sheet metal shop. When the job calls for sheet metal duct work, Ridge air Conditioning, Inc. will build the duct for the individual customer’s needs. Ridge Air Conditioning, Inc. is a member of the Chamber of Commerce in both Avon Park and Sebring Florida. Ridge Air Conditioning, Inc. provides HVAC Heating, Ventilation, Air Conditioning service and installation in the following communities: Avon Park, Sebring, Lake Placid, Arcadia, Zolfo Springs, Wauchula, Bowling Green, Fort Green Springs, Frost Proof, Lake Wales, and Bartow. If you need an ice machine, contact Ridge Air Conditioning, Inc. They can sell you an ice machine or they can lease an ice machine to you. Service of the ice machine is included in the lease agreement. If you currently own an ice machine, call Ridge Air Conditioning, Inc for service. The life of your air conditioning system can be increased with regular maintenance of your equipment. 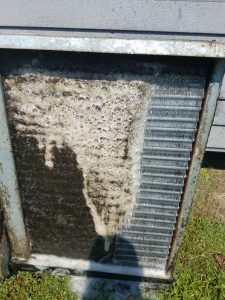 You may call Ridge Air Conditioning, Inc. and schedule and appointment or you can arrange for an annual planned maintenance and Ridge Air conditioning, Inc. will call you when it is time for the annual clean and check.